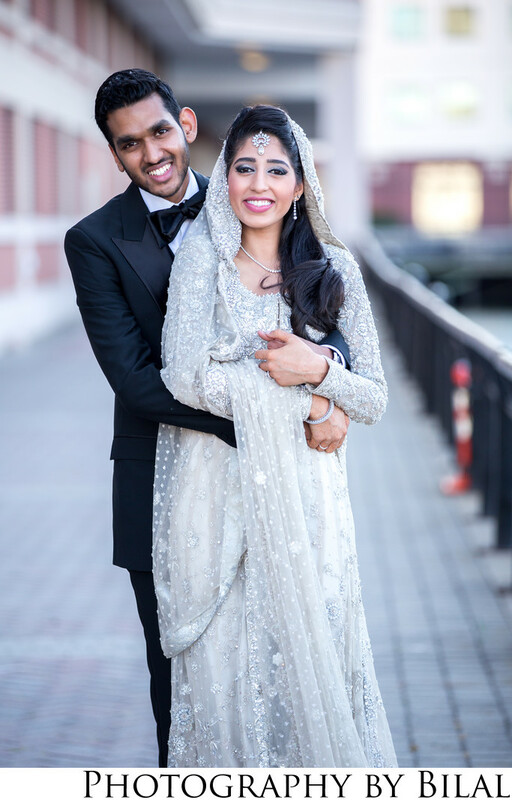 It was such a pleasure to be the photographer for Alina & Ibrahim's wedding in Jersey City. This is such a happy picture of the couple, and it ended up being one of their favorites. The best part about their venue was that you could see the entire NYC skyline. That skyline view enabled us to get some amazing photos. Location: 2 Exchange Pl, Jersey City, NJ 07302.